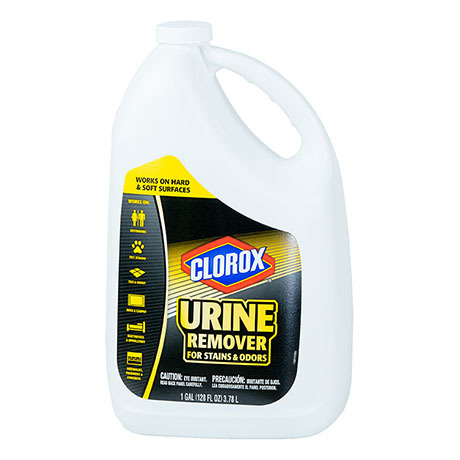 Clorox® Urine Remover’s versatile formula removes urine from porous surfaces notorious for trapping urine odors, including porous grout. 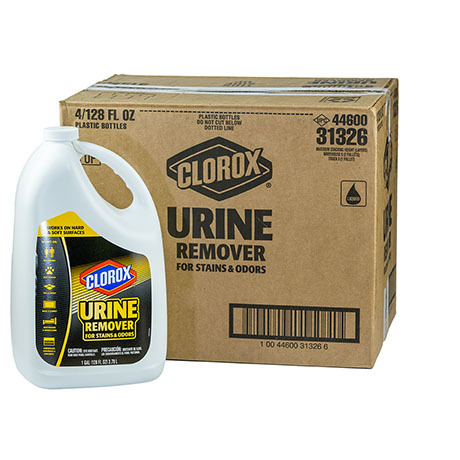 It also handles stains and odors on soft, absorbent surfaces like carpet and mattresses — all without bleach. 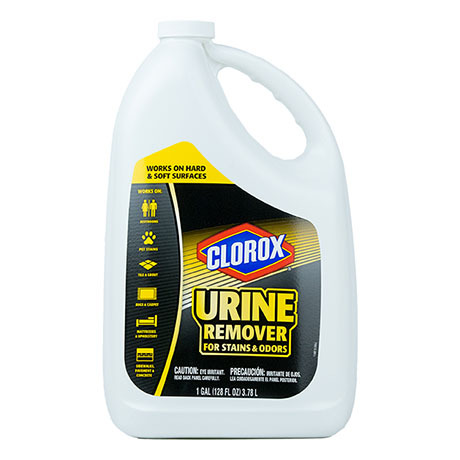 The hydrogen peroxide in Clorox® Urine Remover breaks down the odor at its source through oxidization and removes uric acid crystals. Surfactants, solvent and a low pH work together to clean urine stains from porous grout and other difficult surfaces. 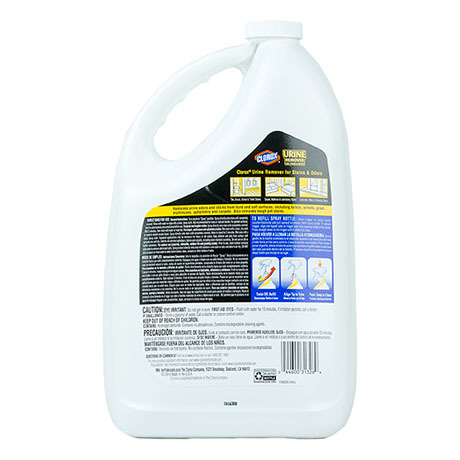 The product can be used before or after other cleaning products, with no additional training needed. Very low surface-safety concerns. 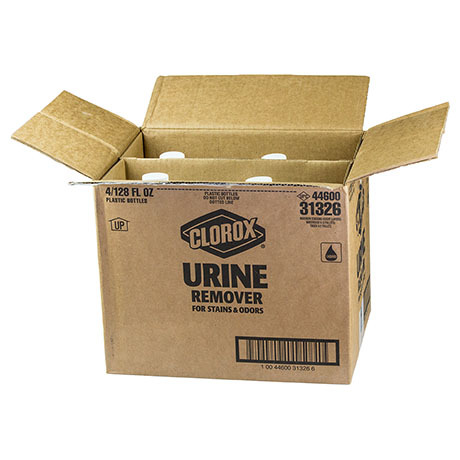 Does not contain bleach.